Free poetry you need to read! 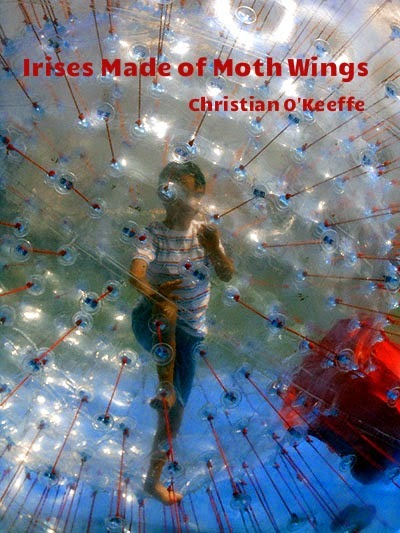 Crisis Chronicles Press presents an inspired 26-page chapbook by the late Christian O'Keeffe (1991-2012). 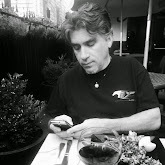 The first time I met and heard Christian, at the Jawbone poetry festival, I found myself greatly moved and told him I’d love to publish a book of his work. He said he’d be honored and would work on sending me some poems. A year later, he gave me these cut and pasted, photocopied and (when he had revisions) pasted again galleys, a sort of handmade chapbook called Irises Made of Moth Wings, saying this is what he had in mind. I loved the poems. But before we made time to work together on the book, he was gone. I had mixed feelings about how to proceed. It was hard. I couldn’t consult Christian, so I set it aside. It took nearly 2 years before I knew what to do. I would photocopy his hand-created galleys, leaving them totally as is, come up with an appropriate cover to bind them, and disseminate his poems freely, as he did. Irises Made of Moth Wings is offered at no charge in a saddle stapled edition, 8.5" x 5.5", with white cover stock, crimson endpapers and white photocopied pages. 1st edition of 99 copies published 14 September 2014. ISBN 978-1-940996-09-7. The book was free, but alas, we are out of copies out as of 30 November 2017. Christian O’Keeffe lived in Kent, Ohio. His influences included the river, Jim Carroll, Maj Ragain, Jack Micheline, Bob Kaufman, moths, deer, blue heron, Kurt Cobain, Arthur Rimbaud, and that ecstatic act of walking. Find more of his work online at https://soundcloud.com/christian-okeeffe.